“Let’s put this pedal to the metal,” proclaimed my driver in heavily-accented English as he ran his beat-up car along the gauntlet of turns on the Igman Mountain Road. Adam, a 20-something bed-and-breakfast owner, was full of mispronounced Americanisms and repeated offers of cigarettes that afternoon as he raced back to catch the beginning of a football match. As we picked up speed, a cityscape of drab apartment complexes below us gave way to a neighbourhood of old-world homes and Turkish-style minarets. The beauty of that place, set among wooded hills and draped in low-lying clouds, set the heart racing with anticipation. 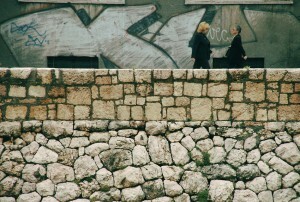 Seeing Sarajevo for the first time at a distance, you’d never know that anything untoward had ever occurred there. “First time in Bosnia?” my host asked point-blank, wincing as a cloud of his own cigarette smoke blinded him momentarily. His question nudged us closer to some intended destination in the conversation. “You see there? Behind those trees?” he said, pointing straight ahead at a turn in the road. “An enemy position from the war. They used to shoot at us from there.” As we arrived in Sarajevo there was scant evidence of that dark episode to which Adam referred. Instead, we were received by what appeared to be as intact a city as any in Europe. Along the banks of the river that bisects the city, cafes teemed with people eating and drinking the afternoon away, while the street buzzed with the jostling of pedestrians, trams and motorcycles. Nothing seemed out of the ordinary. Nor were there any overt signs that an apocalypse had once stormed through. Known in recent times as the poster child for the chaos and inhumanity that tore apart the former Yugoslavia, the city of Sarajevo has come back to reclaim its position as one of the most interesting and enchanting cities in all of Europe. Nearly 15 years after the 1995 Dayton Accords put an end to the Balkan Wars, a sense of optimism and an air of tranquility have taken over the capital of Bosnia-Herzegovina. 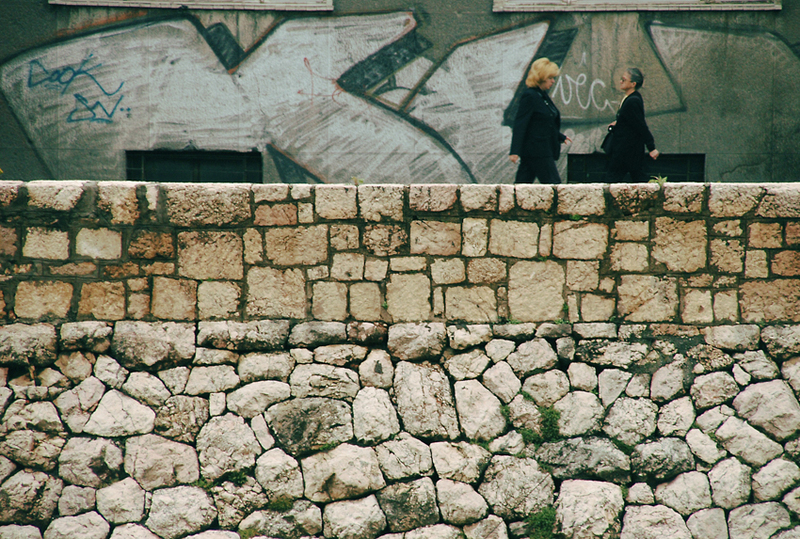 Without visiting, it remains easy to fall prey to Sarajevo’s associations with violent conflict. The nearly four-year siege of the city by Bosnian Serb forces, between 1992 and 1996, grabbed international headlines and shocked the world. Sarajevo was also the backdrop for an infamous political assassination in 1914 that ignited the First World War – a fact that is drilled into the minds of history students to this day. 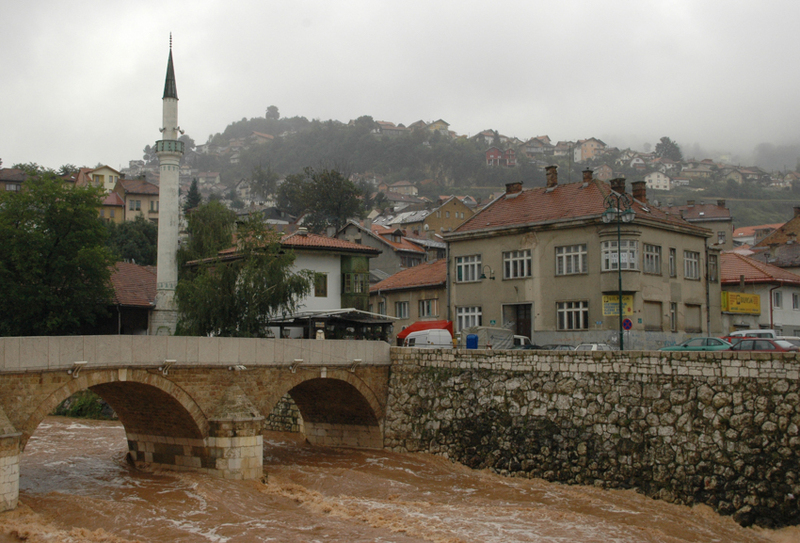 Sarajevo was founded in 1462 by Isa Beg Isakovic – Bosnia’s first Ottoman governor. In forefather fashion, he intuited a future city on nothing more than an unclaimed field of grass. He built a mosque on the left bank of the Miljacka River, with an administrative building beside it, and in doing so would inadvertently coin the city’s name. 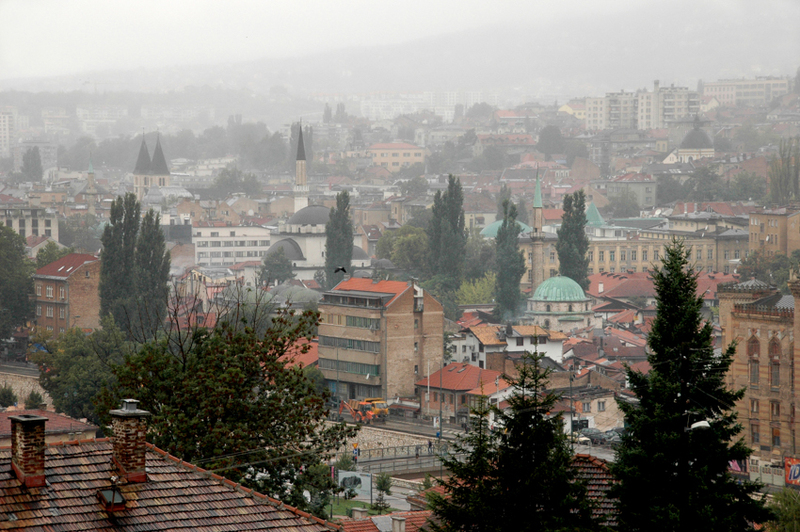 The word “Sarajevo” comes from the Turkish “saray ovasi”, meaning “the plain beside the court”. 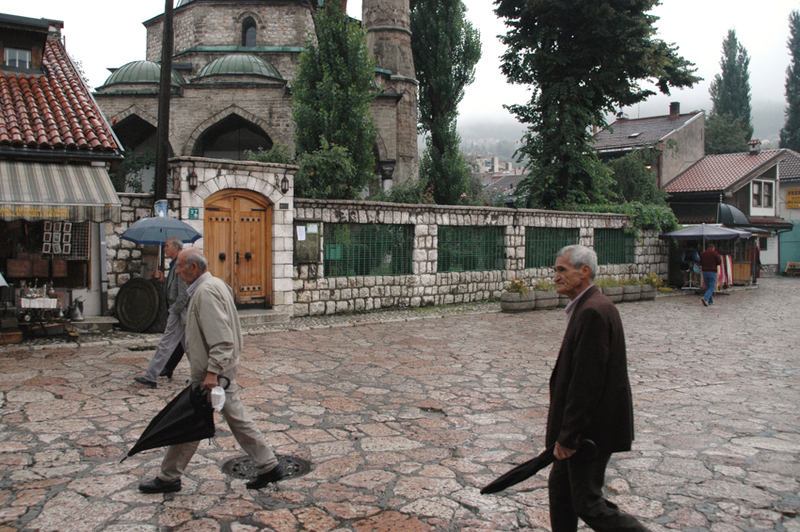 From its founding, Sarajevo’s otherworldly splendour attracted life from all directions. Within decades the town became a seat of Ottoman power in Europe, populated by merchants, pashas and wandering dervishes. By the 16th century Sarajevo would become the most important city in the Balkans as well as one of the primary hubs on trade routes between East and West. The city’s old Turkish quarter, Bascarsija, contains well-preserved monuments of Sarajevo’s Ottoman period. This neighbourhood of labyrinthine walkways, old stone buildings and rustic emanations is both Sarajevo’s main market area and its eastern soul. It is also a living example of how the city co-opted both the spiritual and temporal endowments of Islam to suit its own temperament. Mosque and minaret are dressed here in a verdant softness enlivened by birdsong, the splashing of water fountains and, in winter, snow. Nowhere is this better seen than at the 16th-century Gazi Husrev-begova complex at the northern edge of Bascarsija. Sarajevo’s main mosque and madrassa, these two buildings are considered to be the most significant pieces of Islamic architecture in all of the Balkans. The buildings, hemmed in by leafy byways and decorated with eastern motifs, also make this one of the most bucolic corners of Sarajevo. Indeed, a palpable medieval feel permeates all of Bascarsija. The district’s numerous historic endowments, its old-city acoustics and its 360-degree views of the forested hills surrounding the city take one back to the heady days of an epoch long preceding modernity. Walking through the souq-like alleyways, it is easy to imagine the sights and sounds of the blacksmiths, leather craftsmen and saddlers who once worked here. The area once teemed with life. Caravans arriving from both East and West were accommodated at the nearly 50 inns – called hans – in Bascarsija. While taking in these sights, one will notice numerous chimney-topped buildings billowing clouds of smoke. These old structures, with rows of wooden benches outside, are eateries specialising in the making of Bosnia’s national dish, cevapcici (pronounced “chey-VAP-chee-chee”). Cevapcici are small grilled rolls of minced beef and lamb, which are often served inside a pita with chopped onions and a glass of yoghurt on the side. These oblong meatballs are a close relative of Middle Eastern kofta, but have a distinct Balkan flavour owing to the copious amounts of paprika used in their preparation. Cevapcici is the quintessential Bosnian dish, and is to Sarajevo what foul is to Cairo, what bouillabaisse is to Marseille, or what doner kebab is to Istanbul. For those with an appetite for political history, a 10-minute walk from Bascarsija will take you to the Latin Bridge, also known as Princip’s Bridge. Here a plaque commemorates the assassination of the Archduke Franz Ferdinand and his wife on June 28, 1914, at the hands of Gavrilo Princip, a Bosnian-Serb nationalist. The assassination triggered a series of events that led to the First World War. This incident remains the most referred-to flashpoint for one of the worst upheavals in world history, and walking tours of the city feature stops along the bridge. As much as the Franz Ferdinand assassination contributed to Sarajevo’s mystique, the more recent siege of the city during the Balkan Wars left a wider and more tangible impact on the city and its people. Sarajevo has largely moved on from that brutal episode but some of the physical scars of the conflict remain visible: a few pockmarked and bullet-ridden buildings, vast cemeteries of war victims, and invalids pushing painfully along the city’s Ferhadija pedestrian zone. Most people I spoke to dismissed the war as a momentary aberration in Sarajevo’s long and peaceful history. But the conflict’s psychological and transformative impact on the city and its people cannot be underestimated. Throughout the sniping and the shelling, Sarajevans remained heroically defiant. In addition to organising an effective military resistance, the populace worked to maintain a semblance of normal life, organising concerts, radio shows and film festivals. 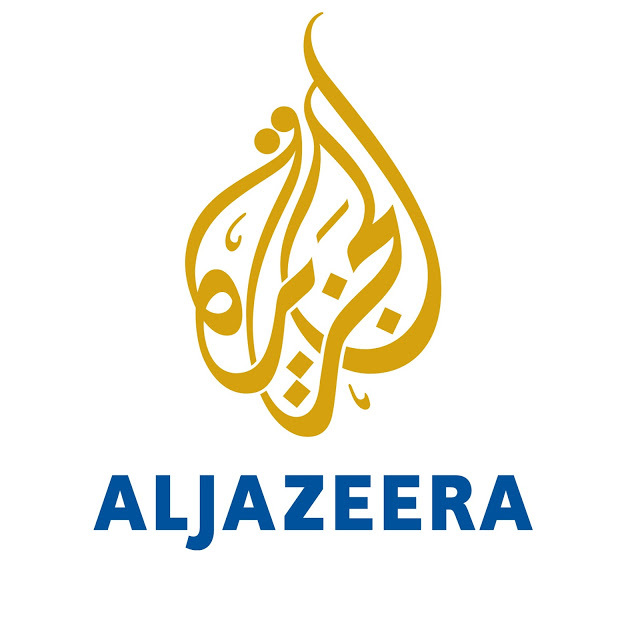 Sarajevans also built an 800-metre-long tunnel beneath the city’s airport that effectively breached the siege lines and connected Sarajevo with the outside world. The 1.5-metre-high tunnel brought desperately needed food and equipment into the city and helped ferry the injured out. The tunnel kept the city’s soul alight while the Western world deliberated endlessly over how to end the conflict. The Sarajevo Tunnel Museum is an ad-hoc shrine to this lifeline. It is located on the southwest flank of the city and is found in the residential home where the actual tunnel was constructed. Although much of the tunnel is now collapsed, visitors can walk through 25 metres of the passage, watch a video about the siege and look at an impressive collection of war paraphernalia. “We worked around the clock for years, moving people and weapons through here,” says Edis Kolar, owner of the museum. “If you can believe – the enemy were sitting just a few hundred metres away. They never discovered what we were doing.” As we milled about the tunnel entrance, my driver struck up a conversation with a group of Bosnians from out of town. As with some other conversations I’d been let into, talk centered not about hatreds and vendettas, but about healing and the bright future ahead for the country. The group, which quickly swelled, discussed the improvement of relations between the city’s ethnic groups, and the hope that Bosnia would be able to enter the EU in the near future. This article appeared in The National newspaper of Abu Dhabi on July 17, 2010.